If you’re like me, when you’re not fishing, you’re probably tying flies, thinking or reading about our sport. Probably no other outdoor pastime generates as much written word as fly fishing. Much of this writing is of the “nuts and bolts” variety, explaining the mechanics of fly fishing or fly tying (interesting in its own right), or well-crafted, folksy angling essays a la John Gierach, But there are a handful of authors whose prose attains the level of literature, and, were they writing about topics with more general appeal than flyfishing, would be much better known. Beginning with this post, I would like to share with you my favorite authors in our sport and learn from you those whose writing you value and enjoy. If you are a contemplative angler, you might wish to add some of these titles to your own fishing/outdoor library; most can be purchased used very inexpensively on Amazon. He lived in New Orleans, where he wrote about food, art, music and books for “Figaro,” an alternative newspaper. He later moved to Birmingham. 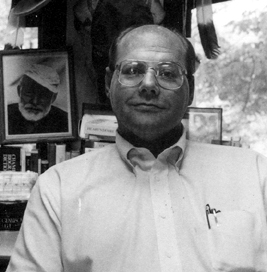 Harry Middleton is also widely considered to be an outstanding American fishing writer. His signed books command high prices and are collectable. His first was published in 1989. Of course, much of the mystique surrounding Harry Middleton, is probably publisher’s hype; after all, the man did have a wife and children, coworkers and other family that could no doubt provide a wealth of information about him. None, of this perhaps manufactured mystery, however, detracts an iota from the quality of his writing. Perhaps it would be appropriate to start your introduction to Middleton’s works by reading On the Spine of Time. 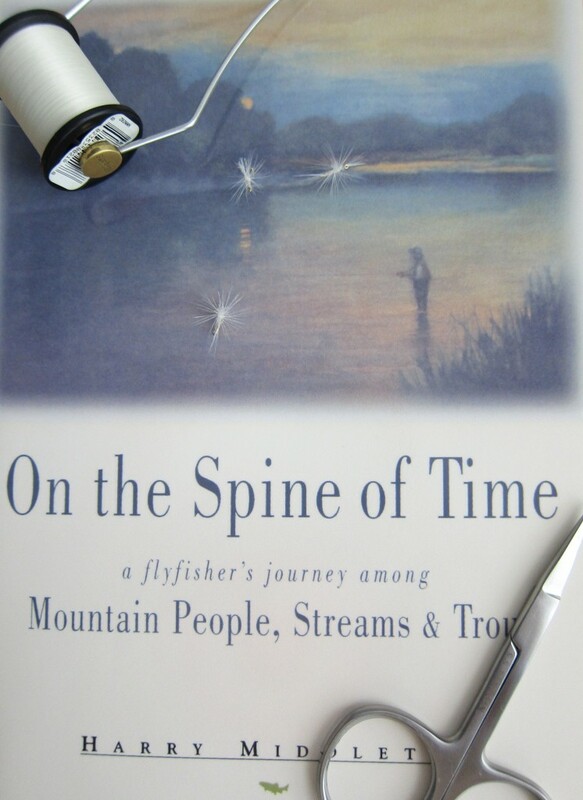 This story is a paean to the Smoky Mountains, certainly some of the best tenkara water anywhere. Middleton introduces the Appalachian mountain culture through the creation of some of the most fantastical, eccentric characters that you will ever encounter in print, e.g. Tewksbury, an aging Wall Street financier who makes an annual pilgrimage to the Smokies to fish, seeking mountains and wild trout as antidotes to the complexities of Manhattan living, and who has an ongoing affair with the lovely Carlotta, a prostitute. And with them he weaves descriptions of the ecology of the area and the many threats to the mountains and their trout (still applicable today, twenty years on). And, suffusing the entire narrative, is Middleton’s love for pursuing wild mountain trout, in spite of his self-professed limited angling skills. This is Southern storytelling elevated to a whole new level. I’ll close with a couple of prose excerpts from On the Spine of Time. Is there any doubt that, were he alive today, Harry Middleton would be a tenkara angler? Harry Middleton’s writing moves me like no other. The man’s literary capabilities exude that Power greater than ourselves. Seems apparent to me that Mr Middleton was able to feel his heart—then write those feelings in a fashion of honoring the Power. Michael, Well said. Middleton was a writer of uncommon ability. What a gift reading The Earth is Enough, I’ve just returned from river fishing with my grandson (seven years old) and he’s hooked, the light is in his eyes. I’m sure Harry Middleton is smiling. Sounds like another Middleton fan in the making. I enjoy fishing of all varieties, but there is something special about standing in a river, feeling the press of the current, that really connects one to the natural cycle of things. I found his book-On the Spine of Time -by accident. A friend loaned it to me and I put it in a drawer. A year later I read it. I read it several times. I heard he died. I did not realize he had died before I read his book. I was thinking of him today and had told a stranger the story about his fishing behind the Dairy Queen and catching the large trout. I found your web site by accident looking for Harry. I recently purchased a Tenkara rod but am finding it hard to let go of my 4 wt. I live near sw Va and love fishing small mountain streams. William, no need to let go of the 4 wt. It’s not really tenkara exclusively; it’s more about having a good time on the stream. I would love to fish those small VA mountain streams. What a beautiful state! Jess and Susan, nice tribute. It has been many a night that I snugged up to his books while fishing and camping my heart away. Harry’s books are simply beautiful. I never tire of rereading them. Thanks for the comment. I read him the first time as a flyfisherman, but read him now for a number of different reasons. I found this site when I Googled his name to see if anything about him had surfaced lately. Mayo, thanks for the comment. Had Harry Middleton lived longer, what other masterpieces would he have written? Good luck with your personal loss. i can’t afford “The Starlight Angling Society.” given its limited availability, but is there a way to read it online? I have read all his other books and find his writing hauntingly beautiful. John, unfortunately I don’t know of any way to read it online. It is not available through Kindle, although Amazon is selling a copy for $2,400! I agree with your assessment of Middleton’s writing.